For the pilots out there – this is a note to myself that I’ll use to “knock the rust off” the next time I have a layoff between flying IFR approaches in my local area. I just earned my IFR rating, but my flying occured in three periods, with six to nine month delays between each. Instrument Flight Rules flying requires good techniques and creates a high workload for single pilot operations. I found myself “relearning” each time – it was especially frustrating since I had mastered flying a stable final approach twice before. This list constitutes heuristics and guidelines for me to become proficient again quickly. WARNING: I am not a flight instructor or a commercial pilot – just a private pilot who met the FAA standards to earn an IFR rating – so this may be wrong or not applicable to your situation and airplane. During preflight, setup NAVCOM radios for your approach. Set altitude for departure airport, and adjust DG, AI for flight. Check-in with the local VOR/DME to verify VOR equipment operational. 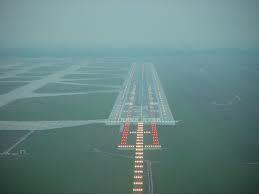 Set tower frequency as soon as you reach the departure end of runway before performing the pre-departure checklist. Once airborne, tune-in arrival weather, and reset altimeter as necessary. Before vectors to approach course, verify navigation aid by listening to the identifiers broadcast from the aid. Press the Nav 1 or Nav 2 button to listen, and turn up the volume on the Navigation radio to hear it. In straight, level, cruise-flight reset the DG to match the compass before ATC provides vectors. ATC will give you a vector that will put you on the final course – you must watch the needle when you make the final turn to capture the localizer. Verify minimum altitude prior to the Outer-Marker and brief the Final Approach Fix, altitudes and missed approach procedures. At the Outer-Marker power back and pitch down for a 500′ – 700′ FPM descent. The power setting is critical – too high, and the aircraft will not descend easily and need a lot of left rudder to remain on course. Use an initial power setting at 2150-2200 RPM’s for best effect. It’s much easier to flatten-out to recapture the glideslope, than to be too high above it… so power setting at the Outer-Marker at the correct “initial” altitude is the key to have a fighting chance at a low-workload approach. Instrument scan during the approach is the next battle – once a 500′ descent rate is established and the aircraft is aligned with the localizer, use left rudder to keep the Directional Gyro (DG) from turning, and use the Attitude Indicator (AI) and wing-leveler or Turn Coordinator (TC) to keep the wings level. Engine power, and nose-down attitude make the glideslope a non-event. Now – no matter how rough the air – keep the wings level with constant monitoring. Once the aircraft gets slightly off course, 3 degree corrections are the ONLY acceptable response. Use the localizer to verify position relative to the runway, and ensure wings are level. As you drift away from the localizer, make slight adjustments to recapture (let the wings turn towards your course, verify new course with the DG, and return to wings level) and verify or confirm progress using the localizer – alternatively, use the localizer indicated on the GPS to verify position relative to the centerline, but only use slight wing dips away from level to return to course. Your scan must be lightening-fast in the last 90 seconds before the touchdown point. Focus on keeping your wings level… and glance at the localizer to confirm you’re in the right spot, while looks at the Vertical Speed Indicator (VSI) allow corrections for altitude. In rough air you need to monitor the VSI more frequently to compensate for updrafts and downdraft effects. Downdrafts that require higher power settings are especially difficult since they increase workload. You need vigiliance and rudder inputs to keep the aircraft from turning. Once the desired altitude is achieved, re-establish the lower power setting and pitch down to maintain 500 FPM. Keys to a stable approach – persistence – use a rapid scan, and don’t give up: Reach the Outer-Marker aligned with the localizer and know the approach heading you must maintain on the DG, cross at the right altitude, immediately establish pitch and power for a descent rate, apply slight left rudder and keep the wings level. Go-arounds at the bottom require: 1. Full power; 2. Pitch up to 10 degrees nose up (use AI), and verify climb with a look at the VSI (This is the hardest step, since you will feel like you’re tumbling backwards – trust the AI, VSI, and Airspeed); 3. Apply right rudder as necessary for coordinated flight. Have fun and let me know if you found this helpful.